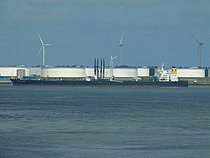 When visiting the Rozenburg Landtong on a clear morning it is sometimes possible to get reasonable shots of ships turning into the Maasvlakte port basins. 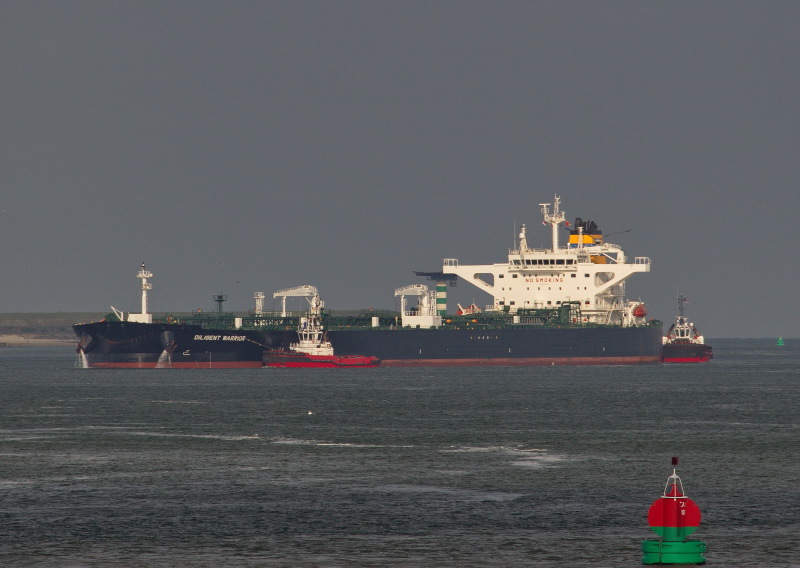 Here is the Polemis Suezmax tanker Diligent Warrior, making her final approach to the Maasvlakte Oil Terminal. Build in 2016 by Hyundai as yard number 2806.